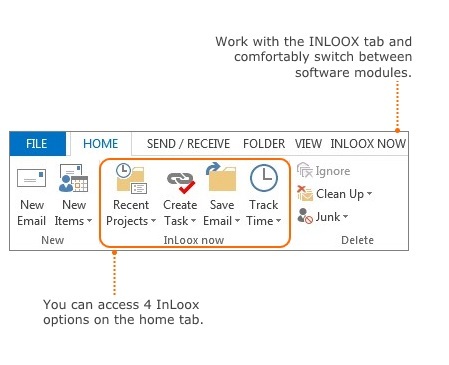 The InLoox folder structure is also included in the Outlook side panel on the left of the window. You can find the InLoox folder directly below your Inbox. 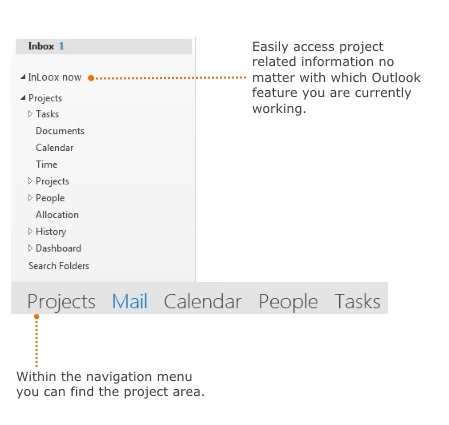 The navigation menu is extended, too. 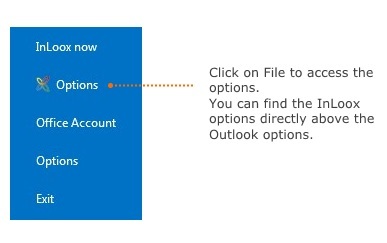 Find InLoox 9 in Outlook • Copyright 1999-2019 © InLoox, Inc. All rights reserved.